Our custom, luxury window treatments can fit seamlessly with any design aesthetic or color palette. We work with you, the interior designer, to determine color, fabric, accessories, and hardware. 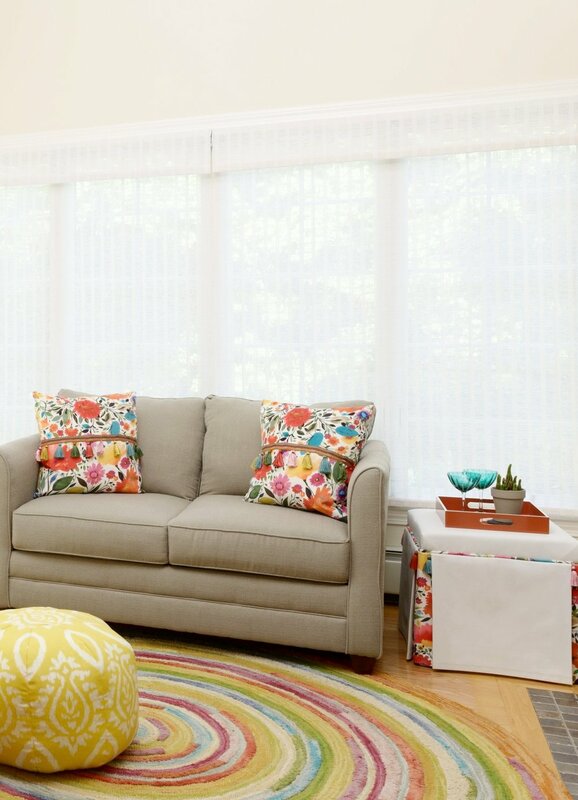 Because we manage our window treatment designs from initial concept through final installation, you can rest easy knowing that this time-consuming task is no longer your responsibility. 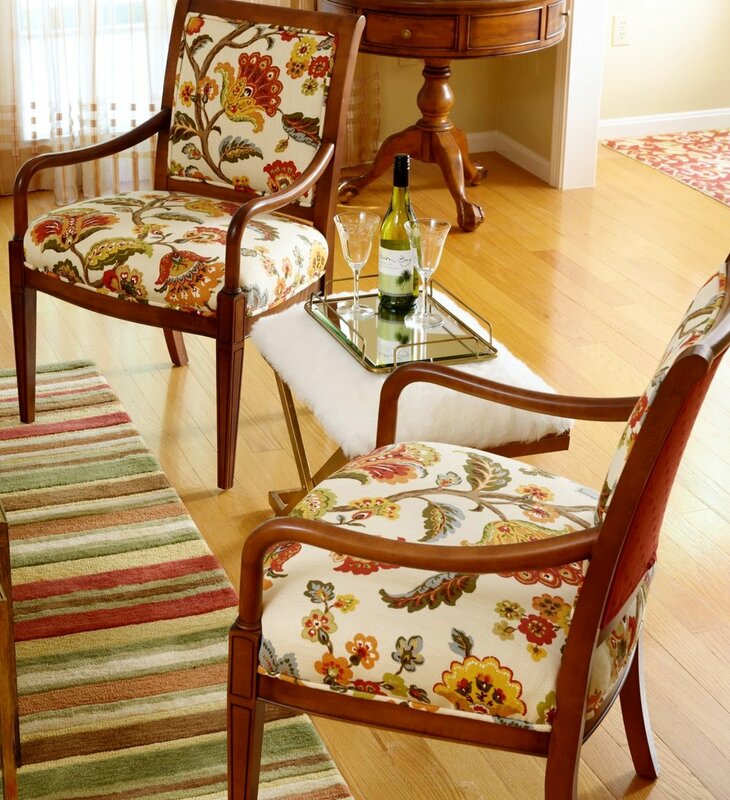 Detailed, custom upholstery for new or preloved furniture pieces is key to making a room flow. We specialize in the designing and manufacturing of upholstered furniture and are delighted to collaborate with you on fabric selection and style. Once we've selected the fabrics and finishes, leave the ordering and production to us. We'll see you on install day! Whether your client needs custom throw pillows, a unique duvet cover, a table runner, or something more, we are here to help you deliver a wonderful product and an unforgettable client experience. With our vast collection of fabric and trim detail samples, specifiying each piece will become an enjoyable process for you and your client. Think we might be a good fit for each other?